There’s no denying that video surveillance technology has come a long way over the years. From grainy videos in its early stages to the quality software and clarity today, video surveillance continues to make great strides and advancements. The goal of security cameras and surveillance systems is to capture, detect, and deter any unlawful behavior in and around homes, businesses, and public areas. Before, installing a security camera system was a costly and laborious job, involving lots of wires and cables running throughout the building. As technology progressed, security cameras became more accessible and affordable, allowing more users the opportunity to invest in their security. Now there are numerous DIY solutions that make it easy for homeowners to install and set up on their own security systems. For businesses, implementing a team of people to actively monitor security cameras at all times was once the only option. Now, much of the monitoring aspect of security and surveillance systems can be automated. Rather than having the mundane task of watching numerous monitors, security cameras now have the ability to detect any suspicious or abnormal behaviors and will alert a security officer as necessary. While we have seen the security industry flourish over the years, this is just the tip of the iceberg. Our technology will continue to advance and amaze us in ways we never thought possible. Artificial intelligence (AI) in video surveillance enables the “smart” features we now see with security cameras. In general, security cameras enable us to monitor situations in real-time or go back to review previous footage. With the integration of AI technology, not only can we monitor in real-time, but potential issues can be identified before they become real problems. With the emergence of video analytics, footage can be analyzed immediately to identify any abnormal activity or threats early on. This technology helps the software ‘learn’ what is normal in order to identify unusual behavior and is meant to make up for human error, rather than replace human monitoring all together. While it was always a goal to integrate AI and video surveillance, the technology, from a hardware standpoint, was not ready. One of the issues that needed to be addressed was decreasing the power demand to a level low enough that would allow the technology to be embedded into the cameras. As more cameras emerge with new AI technologies and processes, we will begin to see more advanced features including crowd density monitoring, facial recognition, stereoscopic vision, and behavior analysis. Behavior analysis in particular is what a lot of tech companies are focusing on. By implementing a technology that can identify and recognize precursor patterns associated with crimes and other bad behavior, we may be able to greatly improve public safety and security. A great example comes from the West Japan Railway, where it was found that 60% of people hit by trains in Japan were intoxicated. They have now installed security cameras that can automatically search for and detect signs of intoxication. Sleeping on benches, stumbling, falling, or standing motionless for long periods of time are behaviors that are recognized by the AI system. Human attendees are then notified and sent to check on the person. Of course, a conversation about video surveillance always includes concerns about privacy. 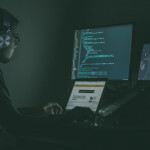 No one wants to feel like they are constantly being monitored, but developers insist that these systems know when to stop collecting information and monitoring. As these technologies continue to develop, you may soon be able to “teach” your system when to record and in which situations recording should halt. Although it is still in its early stages, AI technology and video surveillance is heading in a positive and exciting direction. Mass adoption may still be a ways to go, but it’s great to see AI being applied in a new setting. What are your thoughts on artificial intelligence and the video surveillance industry? Share with us on Facebook, Google+, Twitter, LinkedIn, and Pinterest. Browse our selection of security cameras and equipment online at SecurityCamExpert.com. To learn more about our installation services or to request a free quote, please call 888-203-6294. A story ran recently about wide-area surveillance and how it was quietly used in Compton, CA, to help solve crimes. This type of surveillance was provided by Persistent Surveillance Systems, a security company started by retired Air Force veteran Ross McNutt. Security cameras attached to the belly of a small aircraft essentially watch a given city or area in real time. While there are pros to this type of surveillance, there are many concerns. This wide area surveillance system acts as a cost-effective eye in the sky. If a crime occurs, authorities can review the footage in a specific area to follow the suspect’s moves and eventually catch them. The problem then becomes the fact that everyone in the given area is being monitored, both suspects and civilians. While they may not be watching everyone’s every move, they definitely have the resources to do so. How can residents be sure that the footage isn’t being abused? When does this surveillance go too far? As in the case of the Compton, CA story, residents were unaware they were being monitored. Would it have been more accepted if residents were informed? No one likes to be left in the dark, especially when it comes to being watched and recorded. Residents and authorities should be able to discuss concerns and vote on implementation. If this wide-area surveillance system drops crime rates, and consequently makes the neighborhood safer, residents may be more welcoming to the surveillance system. It has proved successful in the past, effectively locating bombing suspects in Afghanistan. Aside from that, its cost pales in comparison to its ability to monitor large scale areas. While it can’t zoom in and won’t produce clear, high quality pictures of faces, it can track movement and lend itself to proving that someone is innocent or guilty. If this type of surveillance was being employed in your neighborhood or city, how would you feel or react? Would knowing about it beforehand change the way you felt about it? Do you agree or disagree with the direction our security measures are headed? We would love to hear your responses and feedback. Find us on Twitter, Facebook, Google+ and Pinterest. 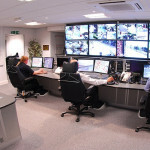 For traditional security cameras, CCTV system packages, home alarm units and more, visit SecurityCamExpert.com. To speak with us directly, please call 1-888-203-6294.